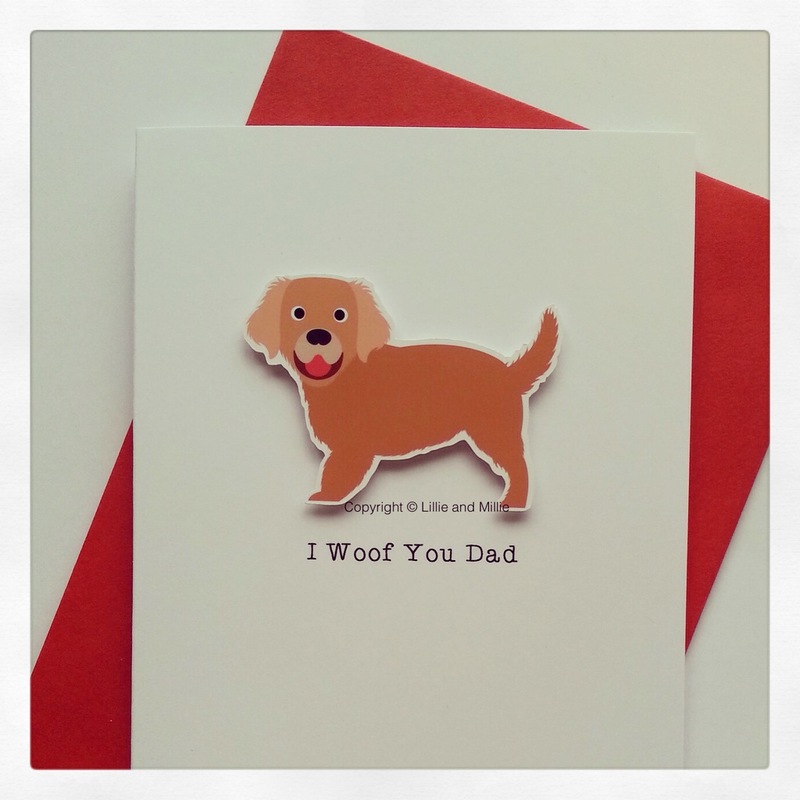 Our super cute Golden Retriever I Woof You Dad card is simply pawfect for Golden Retrievers to show their Dad's just how much they care. Card left blank for you to add your special message. Also available in other colour ways and for other family members, please email your requirements to sales@lillieandmillie.com If you wish to purchase from outside the UK please contact us for shipping costs before you purchase.